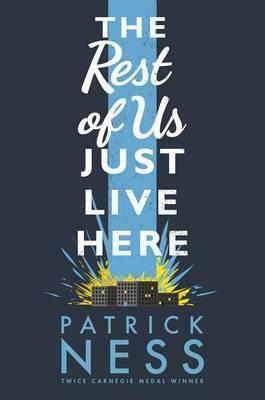 Award-winning writer Patrick Ness's bold and irreverent novel powerfully asks what if you weren't the Chosen One? The one who's supposed to fight the zombies, or the soul-eating ghosts, or whatever this new thing is, with the blue lights and the death? What if you were like Mikey? Who just wants to graduate and go to prom and maybe finally work up the courage to ask Henna out before someone goes and blows up the high school. Again. Because sometimes there are problems bigger than this week's end of the world and sometimes you just have to find the extraordinary in your ordinary life. Even if your best friend might just be the God of mountain lions... An exceptional novel from the author praised by John Green as "an insanely beautiful writer". What if you weren't the Chosen One? The one supposed to fight the Zombies or the soul eating ghosts? What if you have problems bigger than the end of the world, and just want to graduate and go to prom? This is a novel about ordinary kids, their hopes, dreams and relationships, while the indies kids run around saving humanity in the background. Ness is a writer who always surprises and this won't disappoint. I greatly enjoyed the subversion of YA tropes - the chapter descriptions are a particular delight - but the warmth of the relationships stood out for me: siblings, friends and lovers. Smart, funny and original. Don't miss it.